1. Chunky pyrography necklace in beautiful fall colors by Tori Tokabari. 2. Modern polka dot earrings in French roast by Tori Tokabari. 3. Tribal geometry bangle by Tori Tokabari. 4. and 6. Vintage skeleton keys, gray and rusted. 5. Beautiful Baltic amber pendant in filigree setting from 1980-ies. 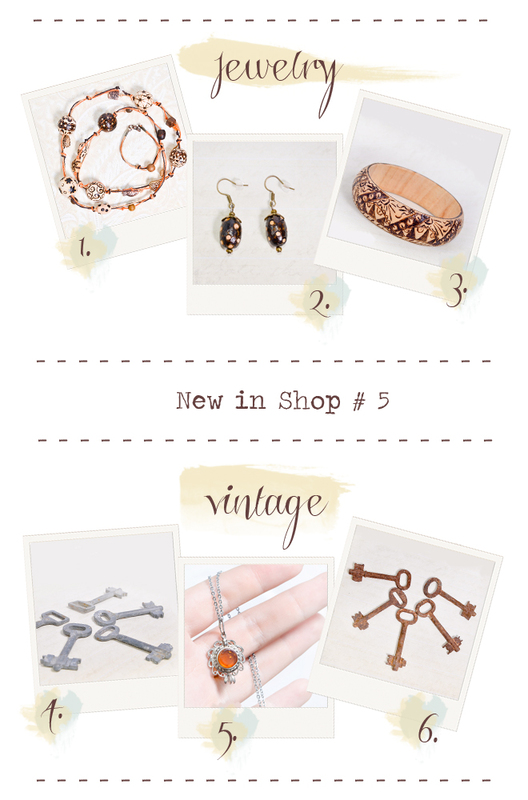 Both the vintage and the jewelry items are GREAT!